The iPad is something I thought I would never need, simply because I already have a laptop for work, and a DS and Xbox for play – I’m one of those people who didn’t really see a point in phones with cameras when there was a perfectly good camera lying around, for example, so the iPad seemed redundant. When I actually got one as a graduation gift, however, I proved myself wrong in both respects; it has become a valuable tool that I take with me to write things, and to play oldschool games when I feel like it! (I know, this sounds like an Apple-endorsed ad, doesn’t it?). This new article series, called iOS Rundown, is going to be all about iOS games, since a lot of them don’t warrant full-blown reviews on their own (either due to very simple story and/or gameplay, or due to me not having enough to say about them in general). 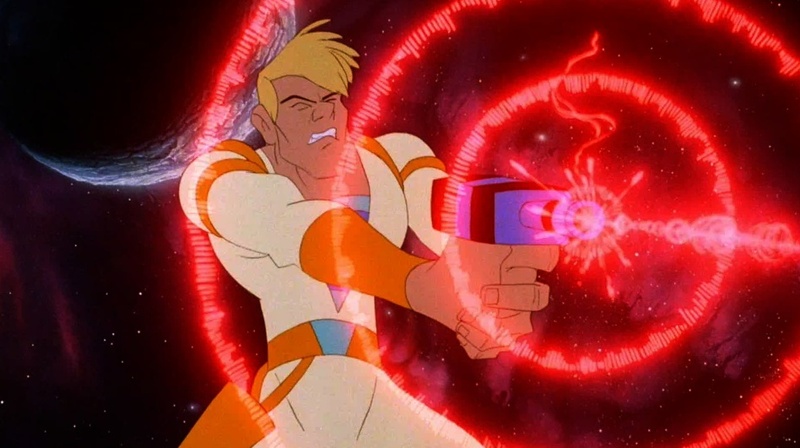 With that said, this installment is talking about the recently-released Manos: The Hands of Fate, and the nostalgic Don Bluth opus Dragon’s Lair (as well as its sequel, Space Ace, and BrainDead 13, since they all have the same type of gameplay and flaws). Released July 26th for the iPad and iPhone by Freakzone Games, Manos: The Hands of Fate is a hilarious take on the 1966 movie of the same name, which is often known as the worst film ever made. To sum up its premise, a family gets lost while vacationing, and they try to find a resort to stay in before it gets dark. Instead, they accidentally stumble across the underground lair of a Satanic cult led by an evil man known as the Master, helped by his sartyr henchman Torgo. With horrible acting, shot-composition, and writing, Manos: The Hands of Fate quickly became a cult smash hit, only increasing in popularity when Mystery Science Theatre 3000 did their hilarious riff on it. 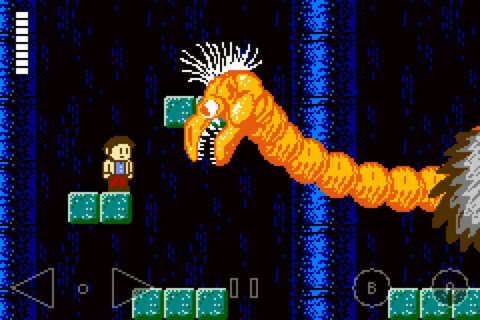 The iOS game we’re talking about today carries on that tradition; Manos: The Hands of Fate is as much an adoring tribute of its namesake as it is of MST3K, as it loosely follows the movie’s plot but also contains various references to other horrible movies in the form of enemies and bosses. While you fight characters from Manos, such as Torgo or the Master’s dog, you also encounter Hobgoblins, Screaming Skulls, Trolls from Nilbog, the Claw (it’s the size of a battleship! ), and even Ro-Man from Robot Monster. While, true to an NES game, it has a very barebones plot that helps you progress from level to level, it is in the playful spirit of the story and these tributes to MST3K that makes Manos: The Hands of Fate fun as a game, and that is its biggest strength. The presentation of this game is also fantastic, as you are graced with colorful, beautiful 8-bit graphics that honestly make it look like it was meant to be a lost gem from the NES library. The backgrounds and enemy sprites are wonderfully detailed, and you could tell that a lot of love went into the making of this game. Hell, I wouldn’t be surprised if there are reproduction cartriges made by fans of this game that are floating around out there, even if it was released only a week or so ago! Of course, you can’t truly have a fun game without some good controls, right? How do they stand up? Well, the controls for the iPad are surprisingly smooth, as the developers made them similar to many platforms you would see in the days of the NES; You just need two buttons to go left and right, and two buttons to jump and attack. Due to simple controls, the gameplay is very precise and natural, even with the buttons in reality being a touch-screen. In staying true to platformers from the NES era, Manos: The Hands of Fate is very simple to pick up, and very easy to play while on the go. However, there are some annoying elements in this game that make it difficult to master, and you can say that this has a “Nintendo Hard” feel to it. For instance, there are some enemies that you have to deal with that make things hard in spots: the Screaming Skulls are very reminiscent of the Medusa Heads in Castlevania, but they are invincible so the only thing you can do is avoid them. Hobgoblins and Floating Eyeballs are also irritating because they both have erratic attack patterns; the Hobgoblins jump after you without any pattern, which makes Stage 4 especially hard since it automatically scrolls to the left, and the Eyeballs relentlessly pursue you throughout the level. Unlike the Screaming Skulls, however, you can actually kill the Eyeballs, but you need to position yourself to where you can kill them before they hit you. The difficulty level of this game may prove to be a problem for first-time players, but, much like an NES game, the best thing you can do is play Manos over and over again so that you can learn the levels and get further with each playthrough. Powerups are also present, which can make things much easier for you. For example, an especially helpful power-up comes in the form of glowing ‘Hands of Fate’ (hahaiseewhatyoudidthere), and collecting them ensures that your HP permanently increases! Hearts are also abundant in statues, and a shotgun is there for you to play with for extra fire-power (although if you get hit by an enemy, it instantly goes away so you need to be careful about going ‘Master Chief’ when you have more fire-power; you are not invincible, and the game reminds you of that). Overall, Manos: The Hands of Fate is a fun experience that emulates the old days of the NES, and that lovingly pays tribute to Mystery Science Theatre 3000 and the game’s horrible cellular namesake. Even though the game emulates the more irritating elements of the NES era, like the inability to save, losing your shotgun after one hit, specific enemies, and the difficulty curve, this iOS game is a great buy, and a great homage to the gaming days of old (especially at the very cheap price of $2). Give Freakzone Games some support by getting this game, because they made an absolute gem! Your support will also possibly help them bring it to the XBLA and PC, so that more people can witness the greatness of Manos: The Hands of Fate! 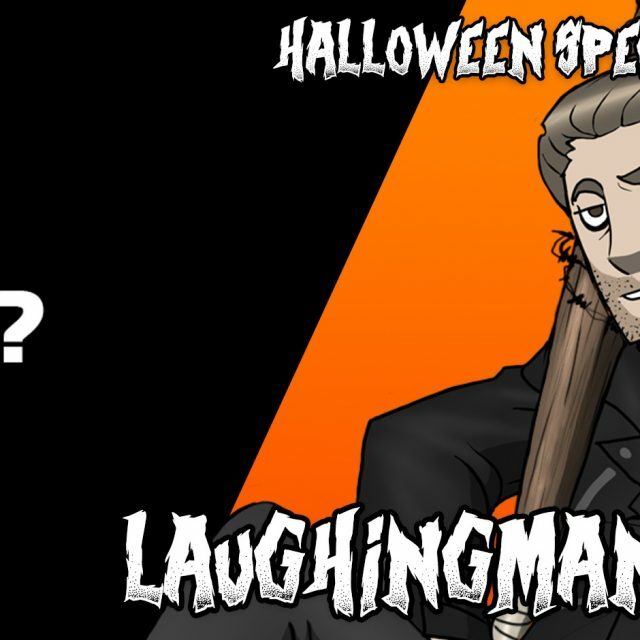 For a change of pace from covering an NES-style platformer, now we’re going to cover some oldschool FMV games from the 1980s and 90’s. Back when I was a kid, one of my fondest childhood memories was jumping on the computer before going to school and playing what was back then a mindblowing game,Dragon’s Lair. Fully animated by Don Bluth (known for films like All Dogs Go To Heaven and The Secret of NIMH), the premise was that you had to rescue Princess Daphne from the clutches of Singe, the evil dragon who has kidnapped her. It was just something I had never seen before, especially compared with some other games I was used to playing like The Oregon Trail, Math Blaster, or The Secret of Monkey Island. While I never played full-motion video games ever again after that, the experience just left a warm spot in my heart because it was so memorable. 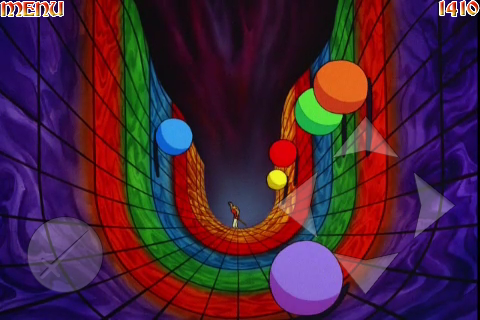 When I found out that Dragon’s Lair was available for the iOS platform, I let out a cry for joy! I also found the other installments in the “Dragon’s Lair Trilogy” in the App Store, Dragon’s Lair 2: Time Warp, and Space Ace, so I got those as well because I had heard a lot about them. Finally, I also heard about another FMV game from the fellows over at Screwattack.com that was so gruesome that I wanted to get my hands on it: BrainDead 13. 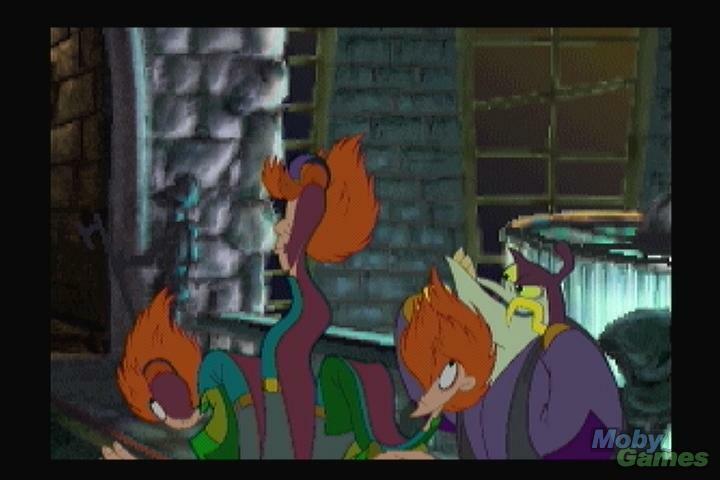 While also boasting fully-animated video, and also released on the 3DO (nobody remembers what that is), BrainDead 13 differs from Dragon’s Lair in both tone and animation styles; the game was created by ReadySoft games, which is why they used a different style of animation aside from Don Bluth’s (to state the obvious for those who played the game). Secondly, while Dragon’s Lair is known for its hilarious death sequences, BrainDead 13 takes this element to the extreme and features the protagonist getting decapitated, having his skin flayed off by thorns in rosebushes, shoved into a blender and eaten, and getting sliced into several pieces. It was brutal and violent, but that adds to the charm of this 90’s gem. The reason I am bunching all of these games together into the same review is because all of them have the same merits and problems, so I felt that I could streamline reviewing them by covering them all at once. Now, the first thing I would like to cover is the graphical presentation, as that is the biggest selling point for these games. 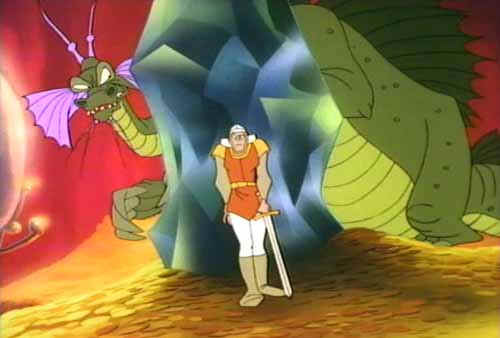 With the exception of BrainDead 13, which was animated by some of the folks who animated some Disney television shows like Goof Troop, The Dragon’s Lair Trilogy is entirely animated by Don Bluth, which is its biggest appeal since the three games boast a very impressive and smooth animation that was ahead of its time in videogames. A problem with earlier consoles like the 3DO or Sega Saturn is that they could not play these games at their highest definition, so a lot of them came out somewhat blurry or pixelated when they were first released. However, with the arrival of BrainDead 13,Dragon’s Lair, Dragon’s Lair 2: Time Warp and Space Ace on the iOS, which is capable of HD video and graphics, these games look absolutely beautiful, making these the definitive versions to own! Finally, the technical aspects of the game need to be explored so that you can decide whether you want to invest in these games. Firstly, the gameplay to these four titles is very simple, and for those who are not familiar with full-motion video games, let me give you a short rundown: While the story unfolds, you are given a flashing prompt on the screen that tells you to press one of the four directional buttons, or the action button. If you make the right choice, you get to advance in the story. If you fail, then one of the numerous death scenes play out, and you have to start the sequence over again. Thankfully, the default option allows for you to play these games with infinite lives, so it is just trial and error that will help you learn the patterns in each sequence. What is also good about the gameplay is that it was translated very well onto the iOS, as they are incredibly responsive. There are some frustrating sequences in the games, especially Dragon’s Lair, where your timing has to be perfect, but that is more the game itself than the control responsiveness. Overall, the controls are wonderfully implemented for the iOS, and you will rarely find them frustrating. Now, before I get to the biggest problem with these four games, I want to first say that the options provided allow for a high replay value; while the Arcade Mode in Dragon’s Lair is honestly no different from the Home Version, the options allow the player to either play with infinite lives or a set amount, change the size of the prompts on the screen, and either enable or disable flashing prompts or buttons that tell the player what to press if they are not in the mood for a challenge. You can also ‘watch’ the games after you beat them for the first time, and this is honestly fun if you want to watch a short, mindless movie. Finally, the only problem that I encountered with Dragon’s Lair, Dragon’s Lair 2, Space Ace, and BrainDead 13 is one that may ultimately affect your decision on purchasing these games. See, while I was having a marathon playthrough of BrainDead 13, dying over and over and over again to try and reach the ending of the game, I was suddenly booted out of the app and sent back to the iPad menu. I had been playing for maybe over an hour when this happened, and when I tried to play it again, all of the data from the previous playthrough had been erased. See, you can save and quit, and continue your playthrough when you feel like playing it again, but this error happened to me without warning, and it was pretty irritating. 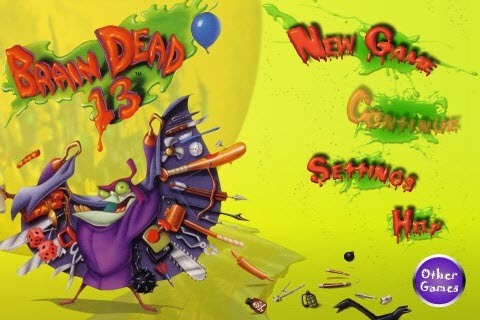 As a result, I haven’t beaten BrainDead 13 yet. I noticed this error happen in the other three games as well, so it may be a continuing problem with all of the titles released by Digital Leisure. It’s been a while since I played my versions, so they may have patched this bug by now, but keep this in mind when you play any of these four games. Overall, even with the problems I encountered, would I recommend these games? Absolutely. 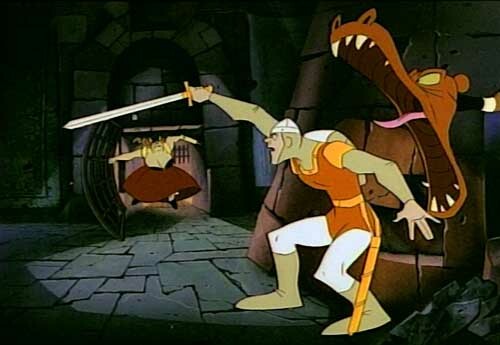 Dragon’s Lair is really something that needs to be experienced, since it was one of the most important games to ever be released, and it is an experience unlike any other game I’ve played. 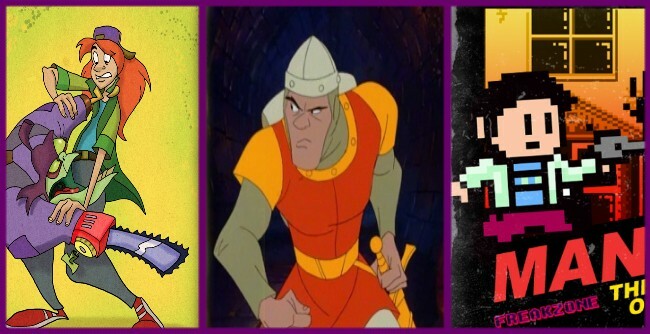 Dragon’s Lair 2: Time Warp,Space Ace, and BrainDead 13 are also a ton of fun to play, so if you guys are ever interested in checking out these animated gems, I say go for it! I’m here to provide recommendations, after all!